A blog about living life with an Ostomy. How life goes on and how wonderful things can be achieved. It is also the perspective of a 30 something woman and life in general! 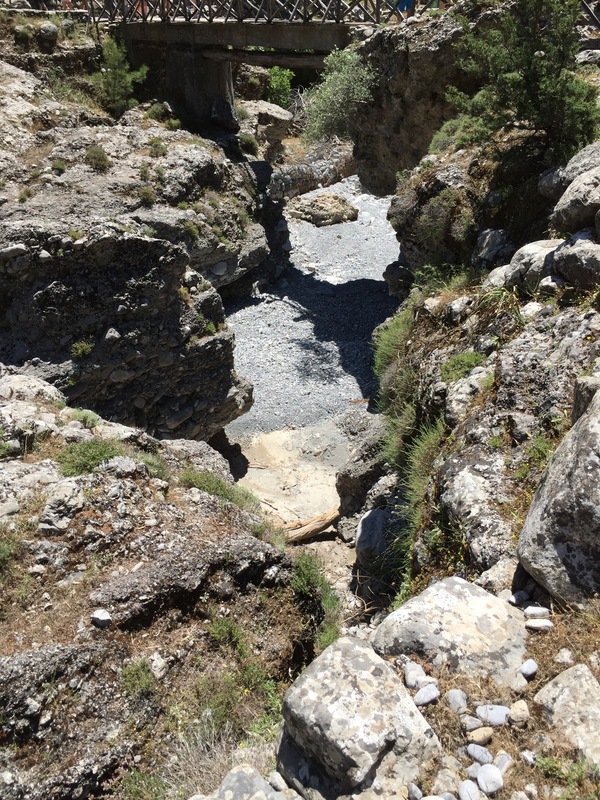 There is a trip called the Samaria Gorge which we wanted to do last year but for one reason or another never made it. So, to ensure we did it this year we pre-booked before we went. 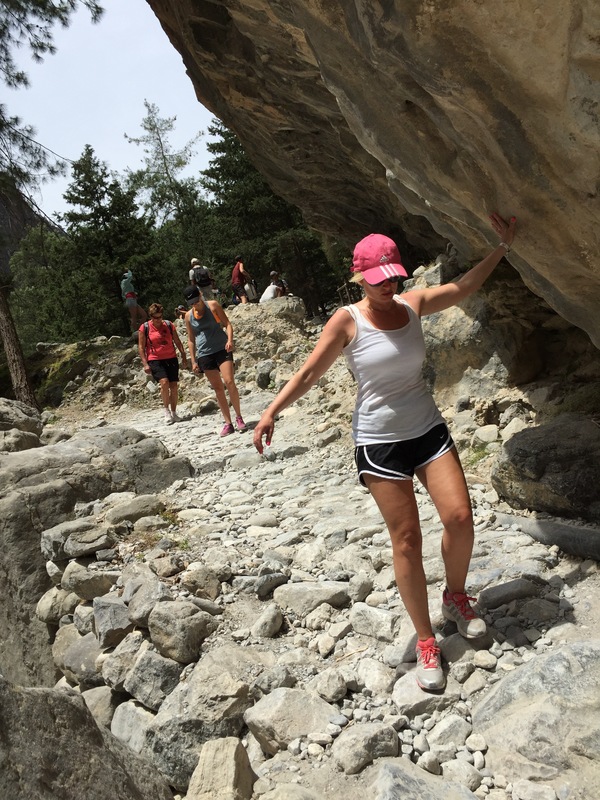 It’s basically a 16km trek down a steep gorge but with the best views nature has to offer. It’s a long old day, but well worth it. You don’t need special walking gear, trainers will suffice and a bag to carry a few essentials. We decided one rucksack between us would be enough, we didn’t need much, a couple of towels for the swim in the sea at the end, suncream, plasters (a change of bag kit for me) plus a few other essentials I can’t go without (lipgloss, kindle, etc.!). We decided to order a packed lunch each from reception and expected a sandwich, piece of fruit and bottle of water each, what we actually got was a lot more and two large paper bags! So we decided to keep this in a lidl carrier bag! 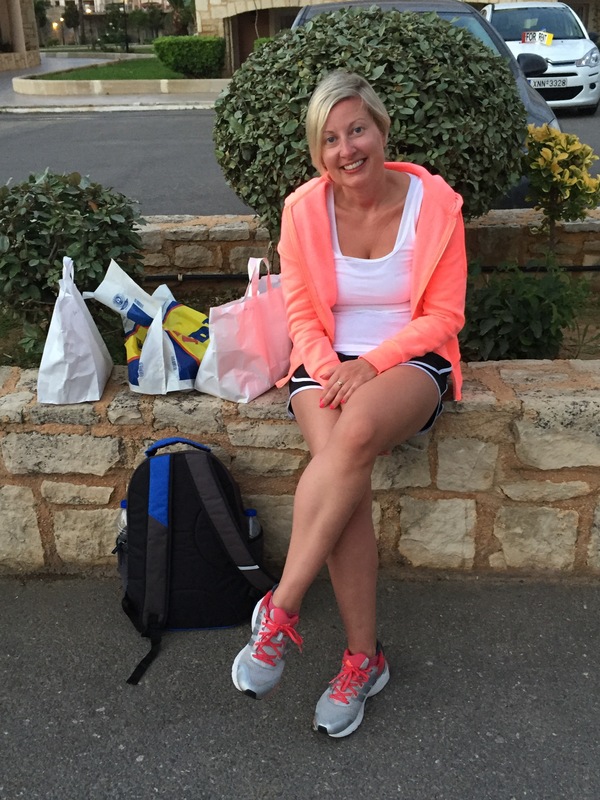 Now you may be wondering why we happened to have a Lidl carrier bag in Crete? Well, the all inclusive package doesn’t serve sparkling wine (I know, it’s a shocking state of affairs) but there is a fridge in the room and a Lidl down the road. So a little daily walk ensued to Lidl to purchase some bubbly for me to sip poolside. Of course we had to purchase a carrier bag for my bottles. After a bit of kerfuffle at the stop prior to the gorge due to some confusion over the money paid we were a bit delayed getting off, meanwhile, Mr Pro keeps shaking his head, obviously so keen is he to get off and be first to finish (so eager he didn’t even wait for his wife when we did eventually get going). 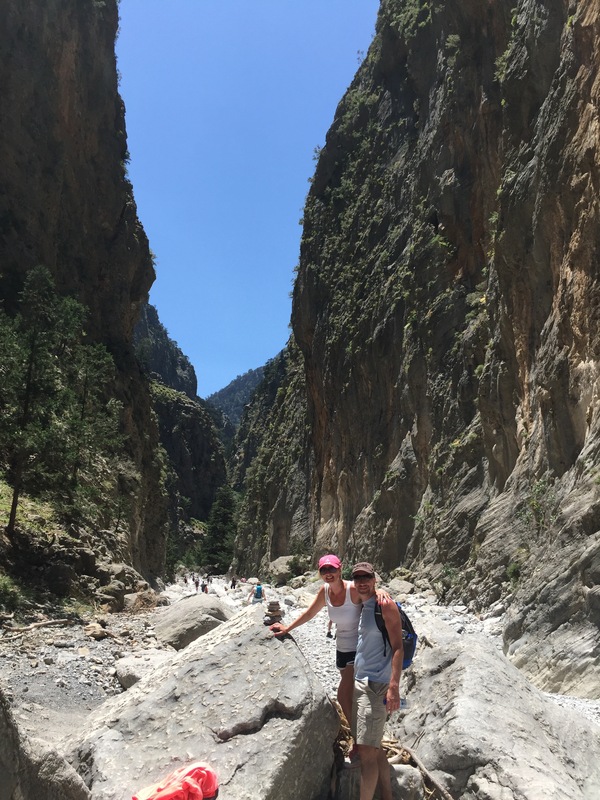 We were dropped off at the top of the gorge ready for a very steep descent down a narrow and rocky pathway and in true Brit fashion, a few of us are moaning about the delay rather than admiring the scenery. 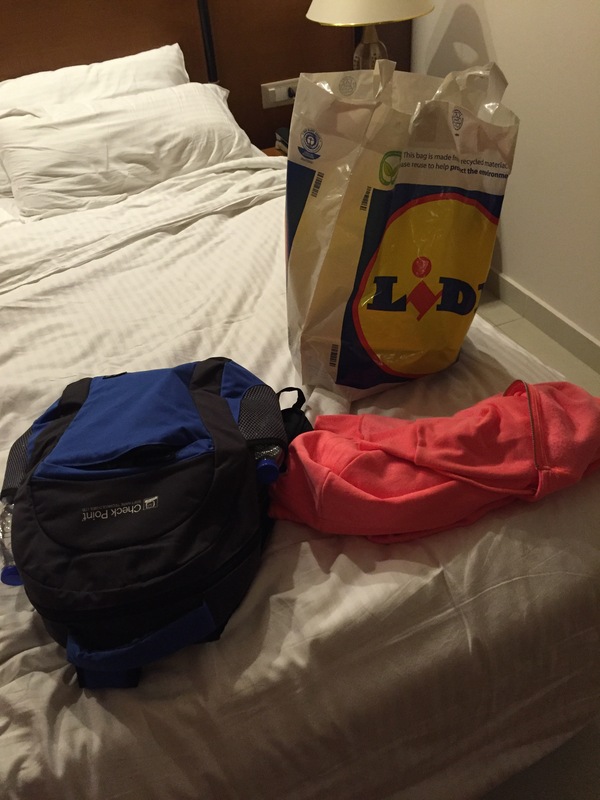 I, however, as Mike had the rucksack, had the Lidl carrier bag and kept denouncing that ‘I can’t possibly hike with a Lidl carrier bag! (A few fellow hikers did find this rather amusing). “It’s slowing me down”,I proclaimed,”I’ll be quicker if we can get rid of it”. Mike thinks it was about 1km in, I am convinced it was more like 2km, when we stopped to eat a few supplies and tie the bag to the rucksack. 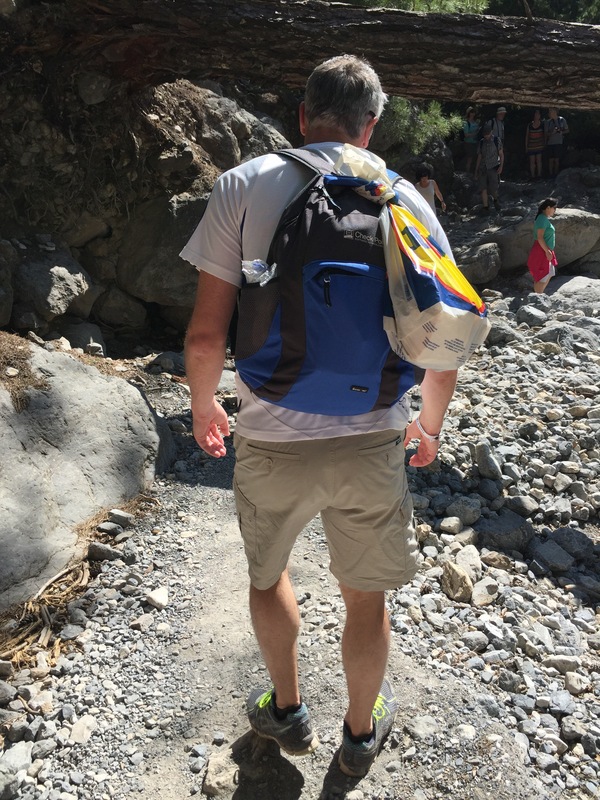 As it happens, I didn’t speed up but it was a relief to not be hiking with that Lidl carrier bag anymore – now it was Mike’s responsibility. So we trekked through beautiful scenery, it really was breath taking and I would highly recommend it. It’s definitely tough, navigating streams, rocks, boulders and narrow pathways (and very questionable toilets) but well worth it. The whole of this trek done with a Lidl carrier bag tied to our rucksack. Finally, after about 5.5 hours we reached the end, full of euphoria, not because we’d finished but because we were finally able to store the Lidl carrier bag INSIDE the rucksack! Looking forward to a swim, we stopped for a bite to eat first (and a glass of wine of course) and went down to the beach. But the wind got up so it was a bit too chilly for a swim, so the towels we packed that took up room (hence the Lidl carrier bag) weren’t used, except they did come in handy when rather windswept we got onto the boat that was to take us to our coach and we deployed them as blankets. 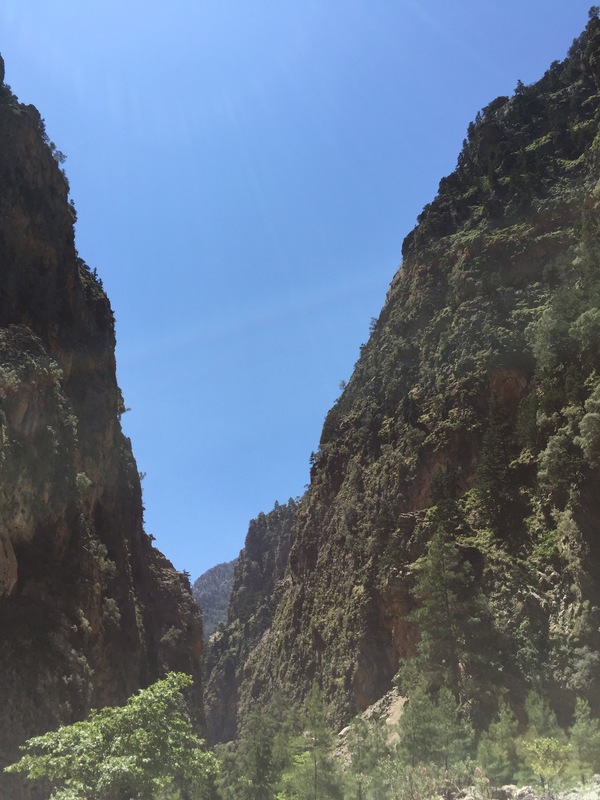 I would definitely recommend the Gorge if you’re ever in Crete and if you do it, maybe stow away a Lidl carrier bag just in case…….. 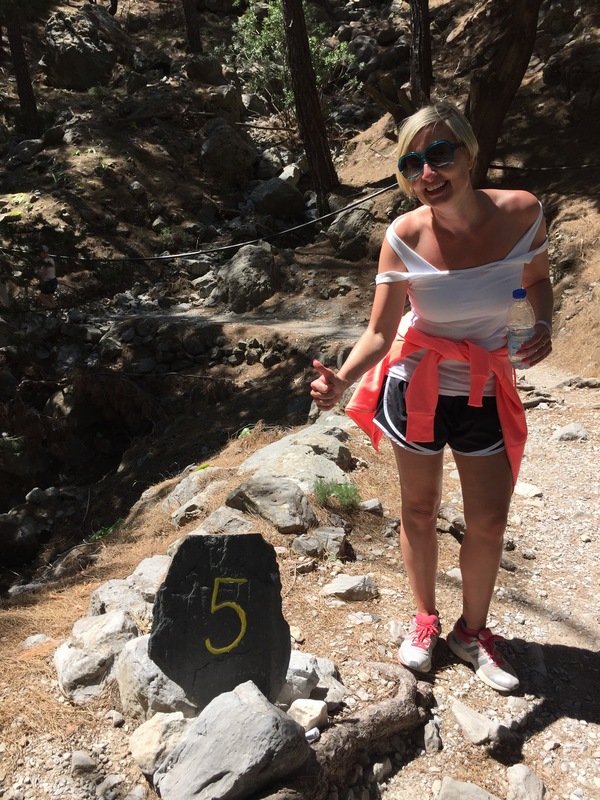 This entry was posted in Accessories, Bags, Blog, Blogging, Body Positive, Crete, Events, exercise, Fitness, Fun, Funny, Greece, Health, Health and Fitness, Hiking, Holidays, IBD, Ileostomy, Lifestyle, Nature, Ostomy, Packing, Partner, Stoma, Toilet, Trekking, Ulcerative Colitis, Uncategorized and tagged beauty, Crete, fitness, Greece! 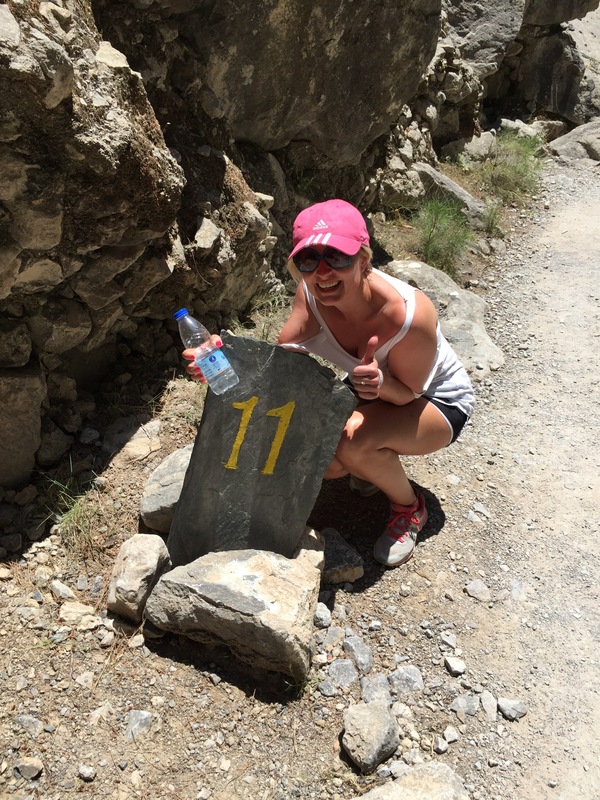 Trips, Hiking, Holidays, Nature, Ostomy, relationship, Stoma, Sun, Trekking, views, walking on June 2, 2016 by champagneshezza. champagneshezza on Then and now…..
John Coleman on Then and now…..